Culture Days, which takes place September 30, October 1 and 2, across Canada, is kicking off around the province. In Saskatoon, Culture Days kicks off on Thursday, September 29, 2016, at 11:30 am on River Landing, under Senator Sid Buckwold Bridge. The event features a short program, including a Culture Days flag-raising, followed by workshops, displays and other activities at River Landing. In Regina, Culture Days kicks off on Friday, September 30, 2016, at 11:45 am in Victoria Park, across from the Copper Kettle. The event features a flag-raising over at City Hall, a short program and the unveiling and tour of the latest additions to the Mackenzie Art Gallery and Regina Downtown Business Improvement District's art}outside exhibition in Victoria Park downtown. Everyone is welcome. 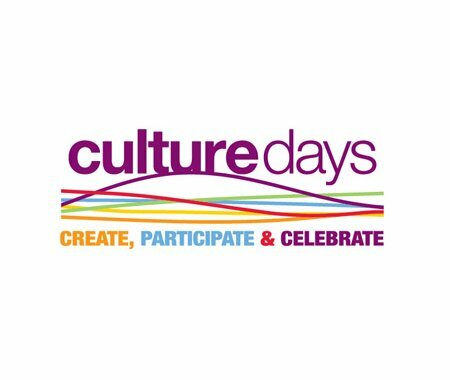 Prince Albert, Moose Jaw, Weyburn, Estevan, Indian Head, Nipawin, Humboldt, Bengough, Radisson and Elbow, are also kicking off Culture Days in their communities, many with Culture Days flag-raising activities and a weekend full of cultural activities open to the public, free of charge. This year, there are over 250 activities registered in 40 different communities throughout the province. Check out www.culturedays.ca to find out what is happening in your community. It's a great opportunity to Try Something New!